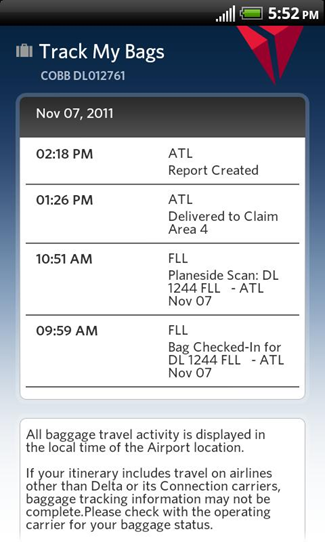 Delta Airlines customers with Android or iOS devices now have one more awesome feature to use with the airline's Fly Delta app – the ability to track their checked luggage as if it were a package, a feature previously only available online or at Delta customer service desks. 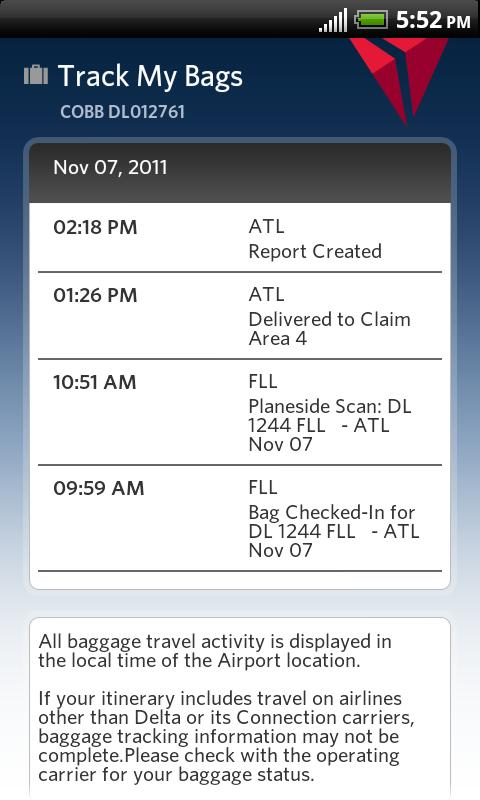 The app's latest update includes a rather sophisticated tracking system, which will scan your claim tag and automatically update with the location of your bags, ensuring that you always know where your bags are, and can be sure that they are traveling along without issue. In addition to tracking your bags, the app will notify you of which carousel holds your luggage, greatly cutting down on time spent looking around or impatiently waiting for the arrival screen to update. If you're a Delta customer looking for an extra bump of convenience on your journeys, grab the free app (or update, as the case may be) below.